When you are owning a property in the Portland, OR area and renting out it for your income, then you will face tenant eviction one day or the other. Though it is a job that many landlords dislike, but they have no other option than taking it forward to get back their property. There are several reasons for homeowners to avail a tenant eviction locksmith services, but whatever be the reason going through legally and with help of a professional locksmith such as Master Locksmith Store can keep you out of danger always. We not only help evict tenants but also prevent the forceful entry of tenants into your premises. You may want your tenant to vacate your house for many reasons, non-paying of rent, violation the rental contract, damaging your property, or anything else. But you cannot simply stop them from entering your house, there are legal procedures that you need to look into while you decide on any eviction locksmith services. Master Locksmith Store will help you in evicting your tenants immediately if the court rules in your favor. 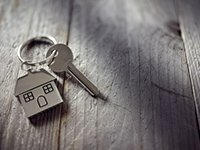 When you avail our eviction locksmith services, our locksmiths will evict the tenant and then start with the next step to prevent the unauthorized access of the former tenant. We analyze your locks and if they are in working condition, then we prefer rekeying it, otherwise go for lock replacement. In either case, the old keys with the tenant become useless and we will provide a new set of keys to you. All these processes take very less time and also require only a nominal price. Lock rekeying or replacement itself is enough to stop your former tenant. But if you feel your tenants are exasperated, then they may find any loopholes such as a broken window or repaired back door lock to enter the house. In such cases, some landlord prefers revamping the complete security system of their house. Master Locksmith Store provides all such eviction locksmith services to help landlords stay assured about their home security. We take special care to analyze nook and corner of your home to detect any security flaw and correct it at once. Is your tenant has huge rental arrears or involving in any illegal activities? Is he or she violating the rental contract? Avail eviction locksmith services from Master Locksmith Store today!